Samsung just confirmed that it will soon release the top-shelf Galaxy S10 5G model in Korea which would then trickle down to US carriers like Verizon. 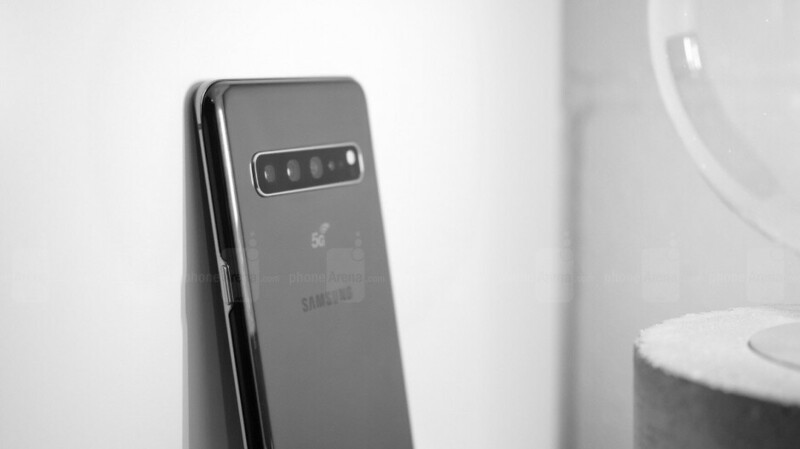 Besides the crazy 12GB RAM/1TB memory option, and the record six cameras in total, the third unique feature of this particular S10 variant is... you guessed it... the built-in 5G modem that goes up to 2.7Gbps download speeds. The S10 5G will, surprise, surprise, arrive with a Snapdragon 855 chipset in the U.S., as Samsung clearly lists models with 7nm and 8nm processors. That means the 5G modem for America will carry a Qualcomm branding, rather than an Exynos stamp, and will potentially be optimized better for the US carrier bands. As to when will the S10 5G release on Verizon and the rest be, the last rumor was April 29, so a month more of waiting to test Samsung's first 5G handset. While the rest of the specs details have already been listed - 6.7" QHD Dynamic AMOLED display, hexa-camera set, and huge 4500 mAh battery, we now have a new and welcome twist. The Galaxy S10 5G can be charged with a 25W input power that is much higher than the 15W that its siblings used at launch. The S10e, S10, and S10+ will be upgraded to the faster charging option, too, evening out the specs for the whole family. In short, the S10 5G will be a beast, and we can't wait to take it for a spin. The first time-of-flight depth camera that Samsung is placing on a handset will help with bokeh samples, as can be exemplified by phones like the P30 Pro that already have it, and seemingly separate the person from the background more successfully than before in portrait mode shots. Moreover, the hexa-camera set, the giant battery, and rapid charging rate may be a harbinger of things to come with the Galaxy Note 10 in the summer. This puppy may be all-screen and no buttons, though, so Samsung may be planning to keep things interesting on the design side of the equation, too, not only in the ultimate hardware mashup that could be brought over from the Galaxy S10 5G. Beast . Just that 5G is quite useless at the moment. Please make a S10++ non 5G version. Let the networks and coverage in 5G come up to a decent coverage maybe then people will start adopting sooner. it is very huge, 6.7 inches is already specifically big. it is better to wait for Note 10 big but at least there are with pen. Carriers will be charging an arm and a leg for the 5g plans.. better to wait a year or two. Career competition will bring it down.